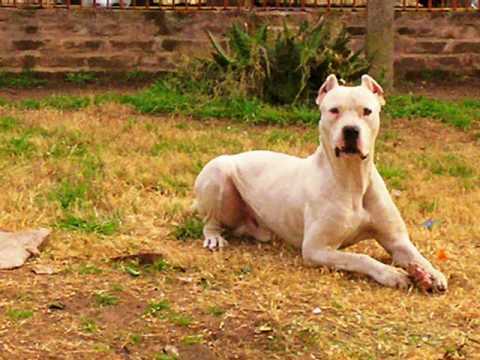 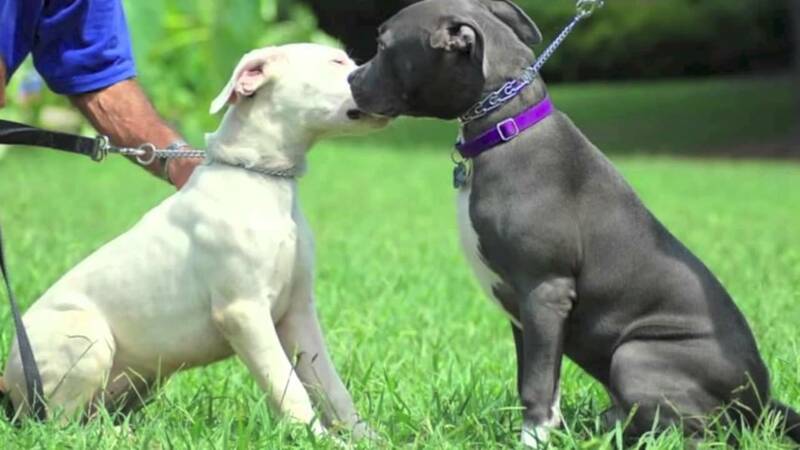 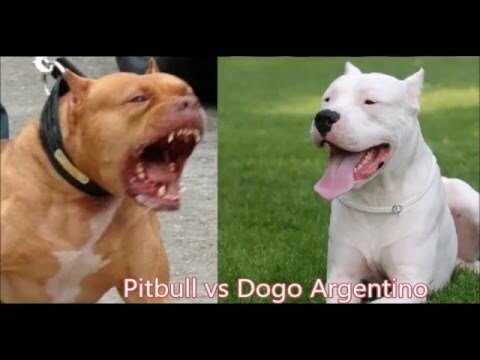 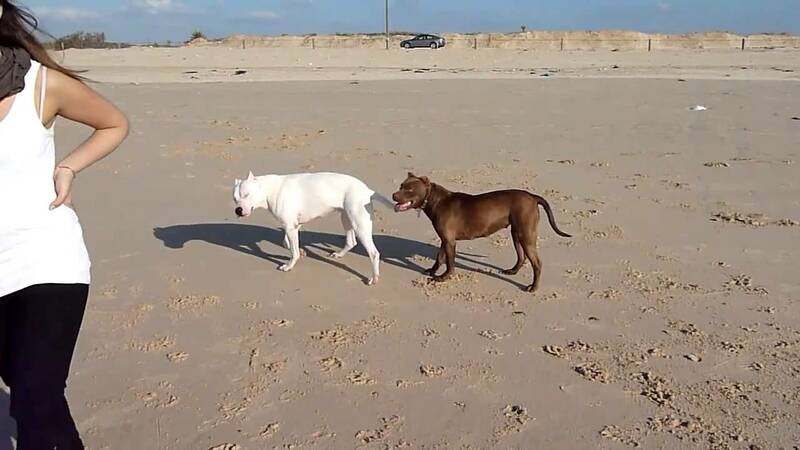 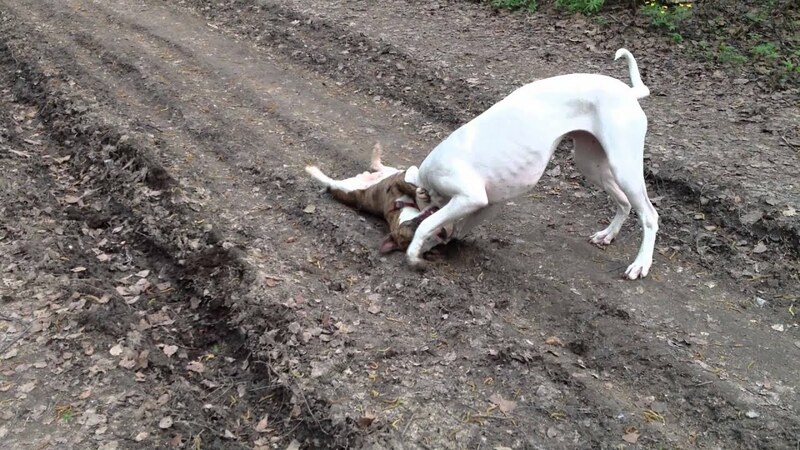 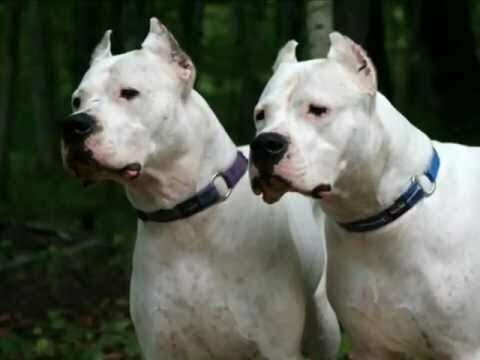 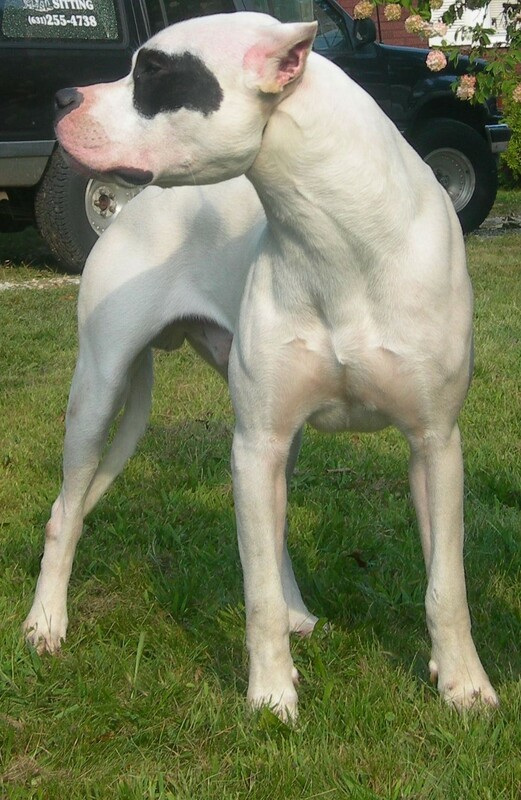 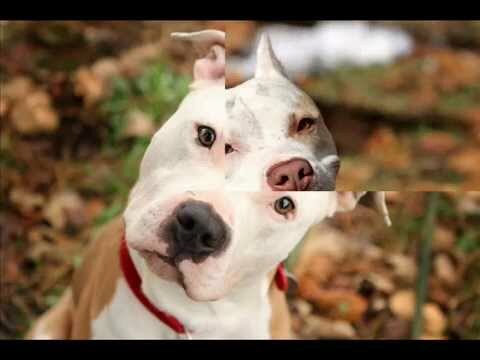 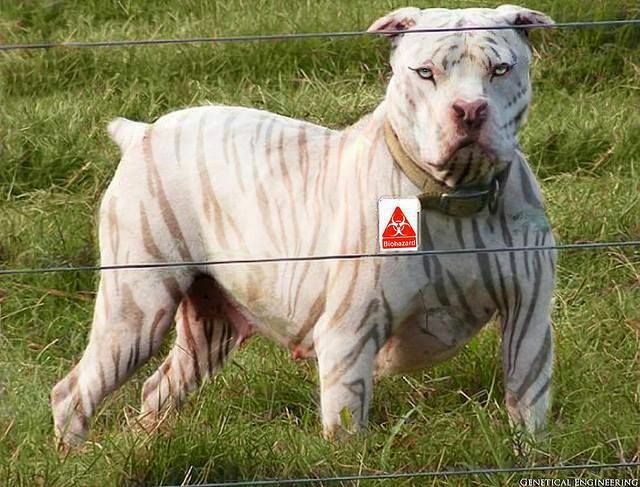 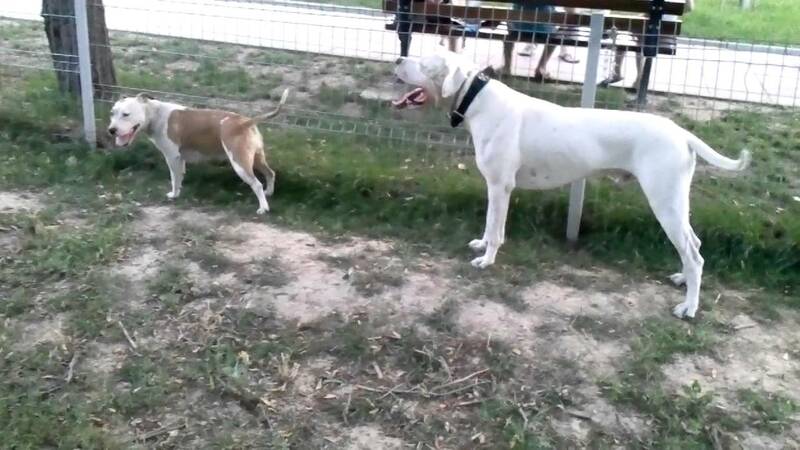 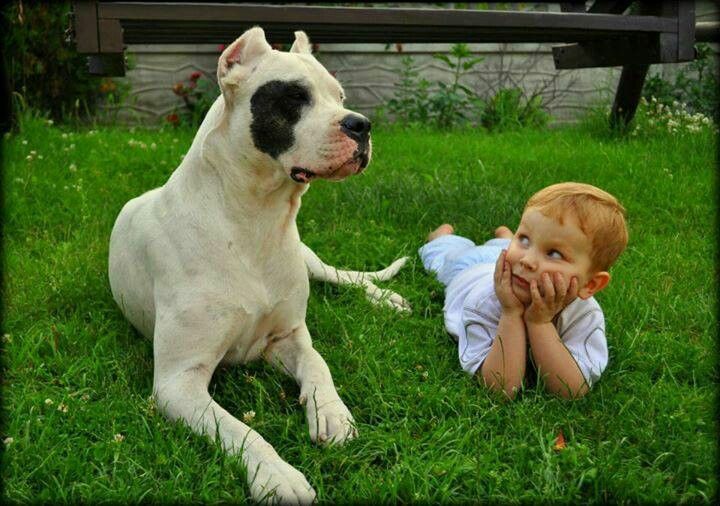 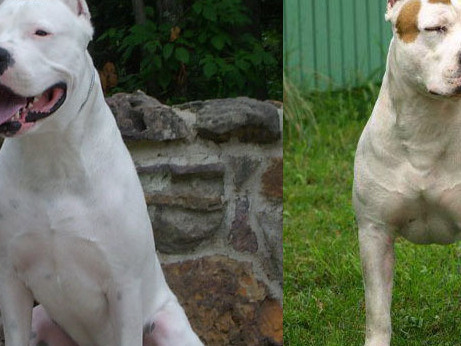 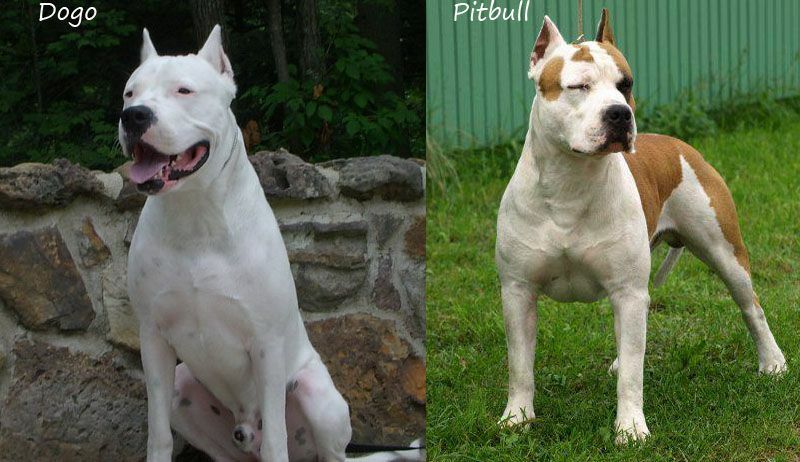 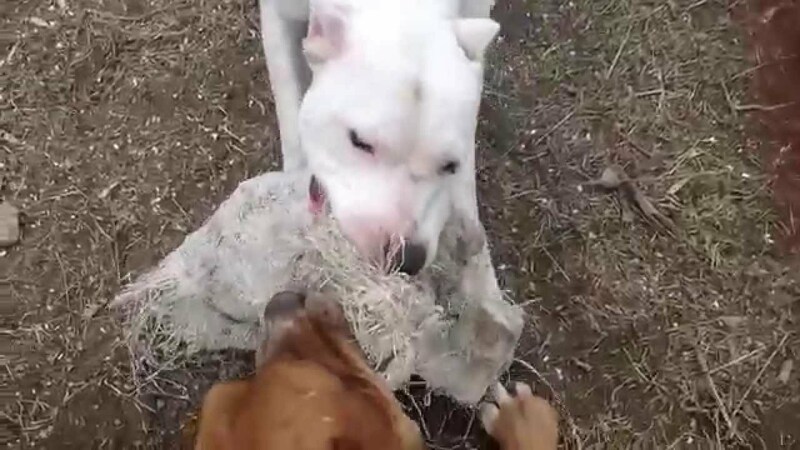 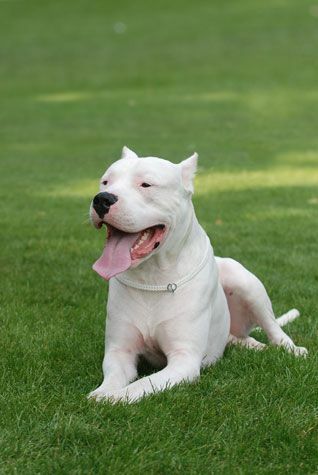 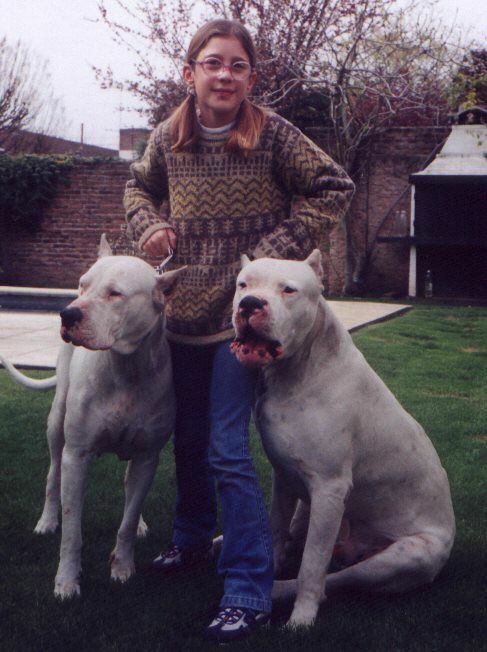 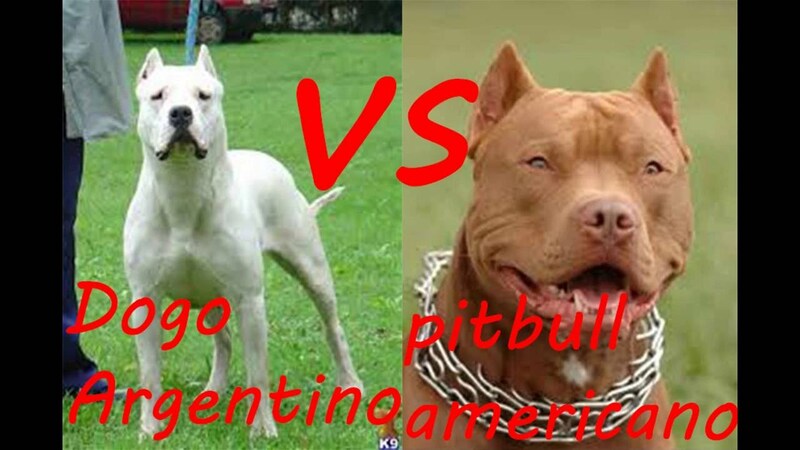 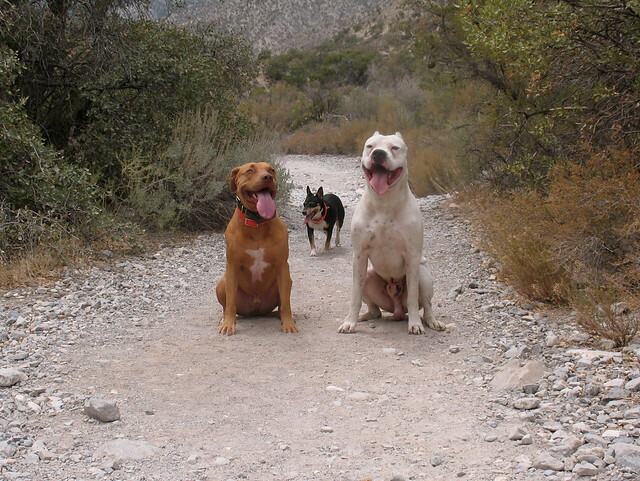 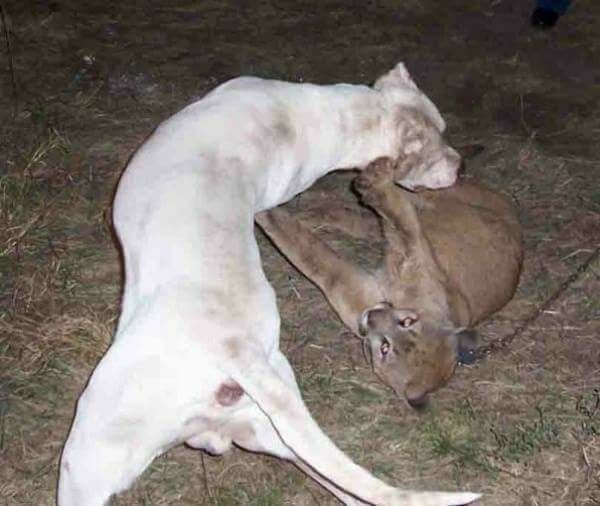 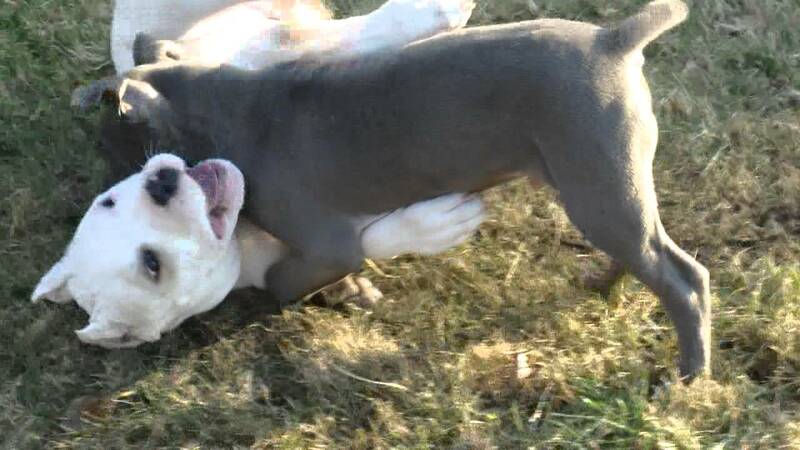 The Dogo Argentino is a large, white, muscular breed of dog that was developed in Argentina primarily for the purpose of big-game hunting, including wild boar. 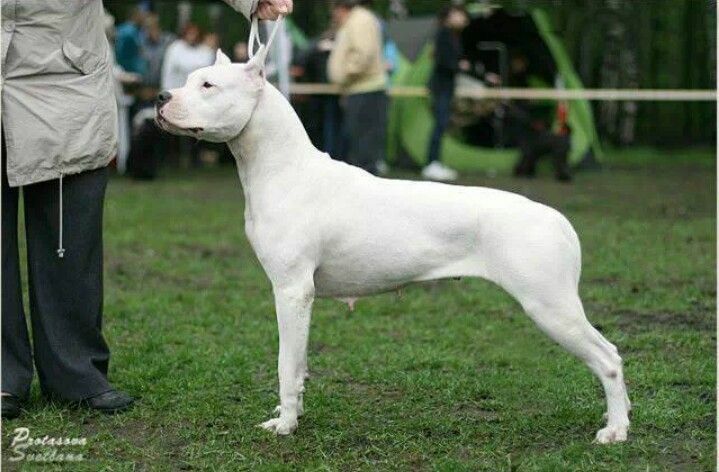 The breeder, Antonio Nores Martínez, also wanted a dog that would exhibit steadfast bravery and willingly protect its human companion. 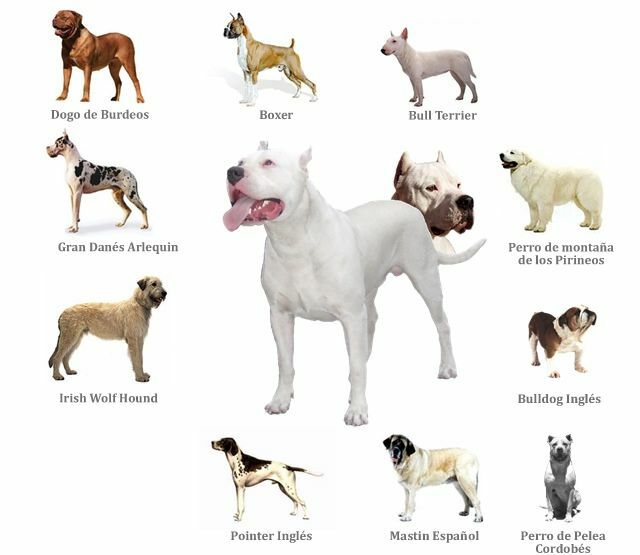 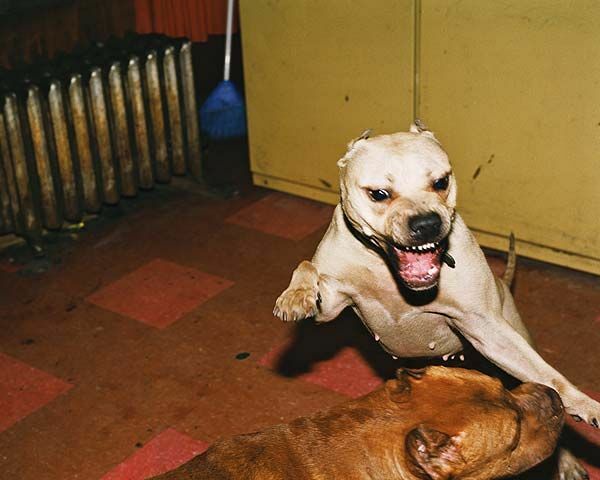 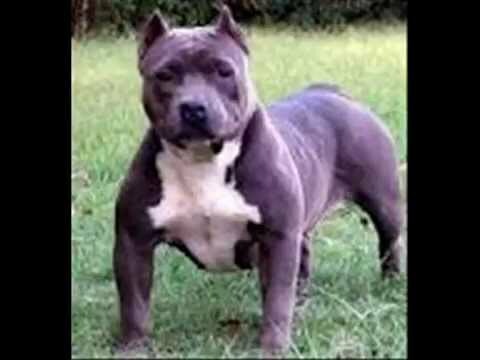 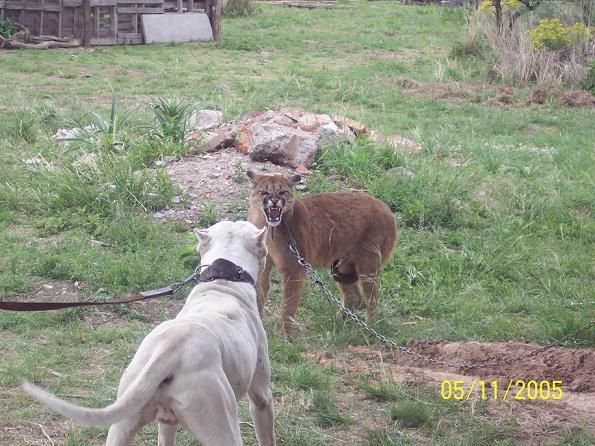 It was first bred in 1928, from the Cordoba Fighting Dog along with a wide array of other breeds including the Great Dane.